AFRO-EUROPE: "Slavery The Game" - Is it really a game? 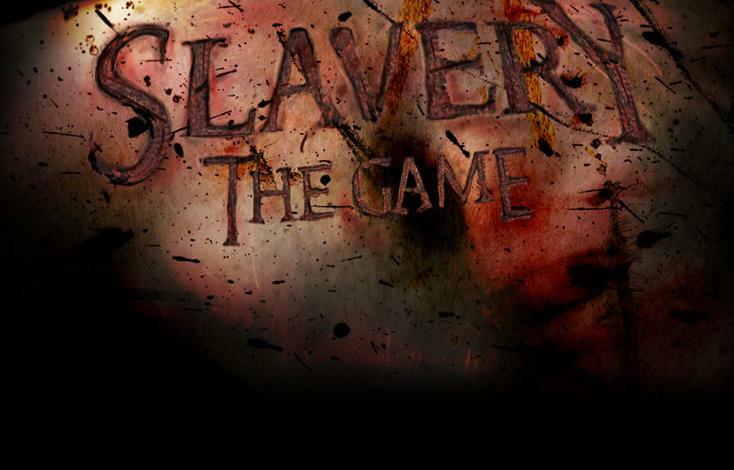 Slave - The Game promises to be a new upcoming "game" in 2012, according to the website and the video trailer. And it seems to be internet hit already judging by the comments and the views. Goal of the game is to become the most powerful slave trader. The teaser states, "Go back to 17the century when Europe ruled the world. Make a tremendous fortune. Buy slaves. Discipline them. Exploit them." But some doubt if slavery is really a game. The game website joystiq wrote. "We do wonder, if Slavery the Game isn't a game (and it's not; notice the lack of italics here), does it have a larger goal, or is this it; a mysterious website with a gruesome reminder that society can be a more powerful force than individual morality? We thought we already had one of those." Needless to say, it’s sick. THIS CANNOT BE A GAME!! THIS IS APPAULING AND VERY INSENSITIVE TO SAY THE LEAST!!! THIS GAME SHOULD BE BANNED!!! WHO IN THERE RIGHT MIND WOULD THINK THIS IS A GAME. THIS IS A REALITY TO MY ANCESTORS AND NOT FUNNY AT ALL. SLAVERY IS NOT SOMETHING WE SHOULD EVER JOKE ABOUT. OBVIOUSLY THE PERSON WHO INVENTED THIS GAME IS A FOOL!!!!!!!!!!!!!!!! !